NeonCRM supports webhook POST notifications for actions within the system. 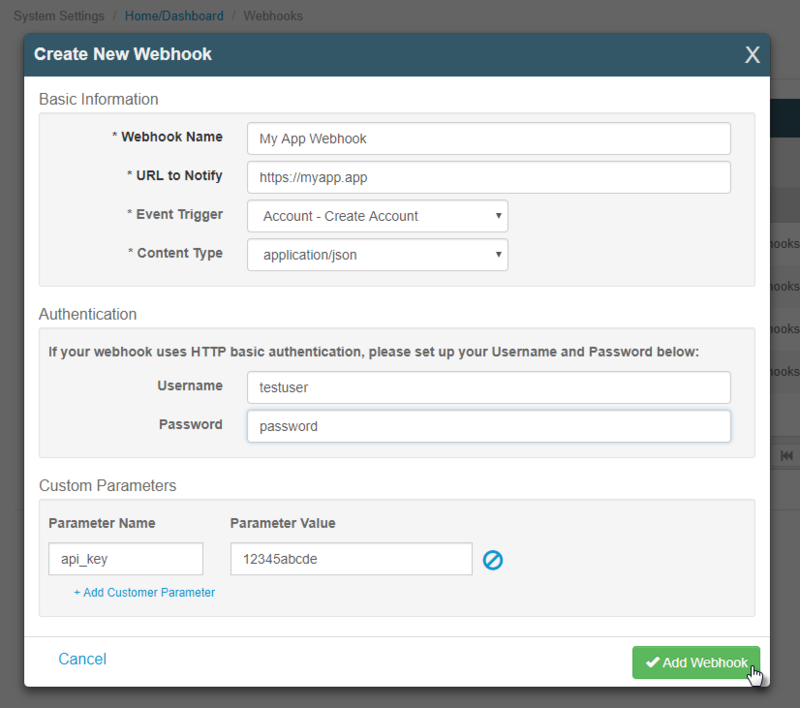 These webhooks can be managed from the system user interface or through the Webhooks API. Navigate to System Settings > Home/Dashboard > Developer Tools > Webhooks. Provide the necessary details and click Add Webhook. The internal name for this webhook. The URL to which the webhook POST will be sent. The event in NeonCRM that triggers the sending of the webhook POST. The format used for the POST data. Possible values: application/x-www-form-urlencoded, application/json. If you specify application/x-www-form-urlencoded, the data will be sent as a JSON string in a form parameter called “payload”. If your webhook uses HTTP basic authentication, the provided user name displays here. If your webhook uses HTTP basic authentication, the provided password displays here. Custom parameters are name/value pairs that are sent with every POST. These can be used for sending credentials such as API keys or other data useful for your application. The date/time that the event was triggered. The NeonCRM organization ID of the system that triggered the webhook. The data returned by this parameter is variable depending on the webhook triggered. It contains the constituent or transaction data relevant to the triggered action.